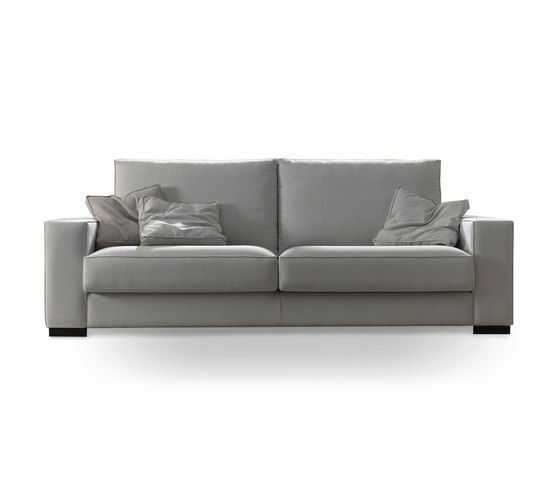 Contemporary shapes model in which compact forms give it strength and comfort. The seat, with a great thickness, offers an elastic sitting that adapts perfectly to different anatomies. To enhance the finishes of this piece, stitches and decorative sewing are accurate and makes a light shape of the sofa. Sofa or module larger than 200 cm are prepared so the arms can be removed. MATERIALS: – Solid wood frame, covered with HR 30kg/m3 foam. Suspension made with Nea elastic webbing, offering quality guarantee of 10 years. – Seat cushion in HR 32kg/m3 foam, 3cm of extra soft lay. – Backrest cushion made with 100% silicon polyester fiber, with internal divisions in covers to avoid deformation Cushion upholstery fully removable. – Leg p-52 chromed metal, p-25 and p-42 beech wood. – Finishes: Double seams. Ribbon stitching decoration in all the sofa edges.